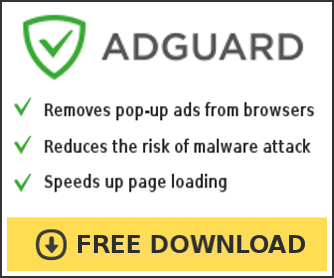 Personal Protector is a rogue antispyware tool. It is classified as rogue antispyware because it installed through the use of malware and uses false scan results as method to to trick you into purchase so-called “full” version of the software. When Personal Protector is installed, it will perform a scan of your computer and display false scan results that state the computer is infected with numerous infections. It is important to know that all of these infections are fake, so you can safely ignore them. 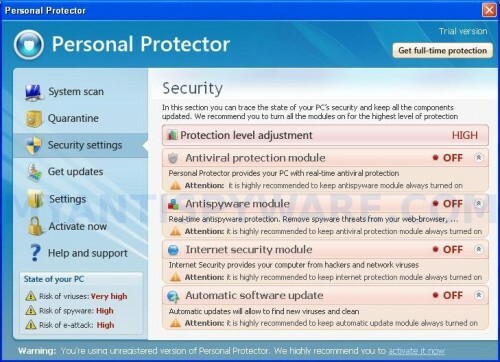 Personal Protector can be safely removed from your computer along with any other trojan infections if the proper steps are taken. Use the free instructions below to remove Personal Protector and any associated malware from your computer. Select Perform Quick Scan, then click Scan, it will start scanning your computer for Personal Protector infection. This procedure can take some time, so please be patient. Make sure that everything is checked, and click Remove Selected for start Personal Protector removal process. When disinfection is completed, a log will open in Notepad and you may be prompted to Restart. it worked for my not so good, because it has avoided the personal protecter but now my google browser is closing every 5 minuts help!!!! plisssssssssssssssssss what is wrong? myly, open a new topic in our Spyware removal forum. I will check your computer.